Music is meditation: this is the deeply held belief of Adrian Shala and Adrian Schweizer. After meeting up in Zürich in 2008, Adrian & Adrian became inseparable, not just as friends, but also for the global house and techno community. 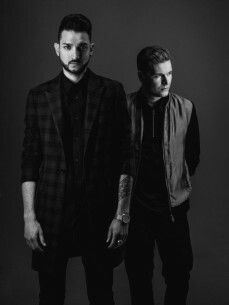 They became known as one of the most consistently delivering DJ/producer duos in the scene: Adriatique. The key to an enduring partnership is to complement each other, and the Adrians do so admirably. One comes from a background of European, deep and melodic techno and favors the studio over the dance floor. The other was raised on US House and Detroit Techno and if forced to choose, would pick the DJ booth over the producer’s life. Together, they have to combine their perspectives and make compromises, turning their music into the best of both worlds. True to their creed, Adrian and Adrian’s productions are long, meditative affairs. Their records are built up carefully into structured pieces of music, leaving out the bells and whistles. Standout examples are the Midnight Walking EP and their remix of WhoMadeWho’s Dreams, both of which will not be unfamiliar to the House and Techno audience. In 2016, Adriatique remixed Stephan Bodzin and Marc Romboy’s classic, Atlas; the incredible result rose to the top of Beatport’s overall charts and remained at the #1 position for over a month. Just like their productions, Adriatique’s DJ sets build up slowly but relentlessly. Their knack for picking the right tracks and transporting the floor into bliss has earned them liaisons with famous promoters the world over. 2015 was a landmark year in this regard, with the Adrians landing a residency at Circoloco, Ibiza, a first appearance at Fabric London, and a continuance of their love affair with New York City at the closing of the Cityfox Experience. The Ibiza residency was continued in 2016 alongside gigs at Awakenings and Social Festival, not to mention the highly successful 10 Years of Diynamic tour. As a testament to the duo’s mixing skills, they were asked to do a BBC Essential Mix which was released in February 2017. It was a ramp-up to a year full of new and spectacular performances, from Time Warp to Ibiza and appearances at, Afterlife, Circoloco and Cocoon. With their career, firmly on the way up, Adrian and Adrian managed to make a long-cherished dream come true: they launched their own label, Siamese, towards the end of 2016. Their twin-like relationship symbolised in the label’s name and logo, Adriatique intends for Siamese to be more than just a music label from the outset. It is to be a platform for all art, releasing their own EPs and records from upcoming musical talents, but also supporting cross-over initiatives such as video performances and art projects. In the meantime, starting Siamese has not harmed Adriatique’s relationship with Diynamic one bit. Shala and Schweizer have reached great heights over the past decade, but with the start of Siamese and a full agenda, it seems their true potential is yet to be unlocked. No one knows what the next years will bring, but one thing’s for certain: Adriatique will continue to deliver deep, techy, and diverse house music, both from the booth and the studio.